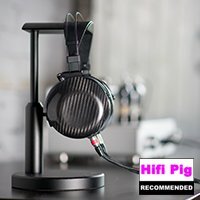 Meze is an interesting newcomer to the headphone and IEM market, a company set up in London in 2009 that wants to change the opinion that you have to spend a fortune to get a good sound. 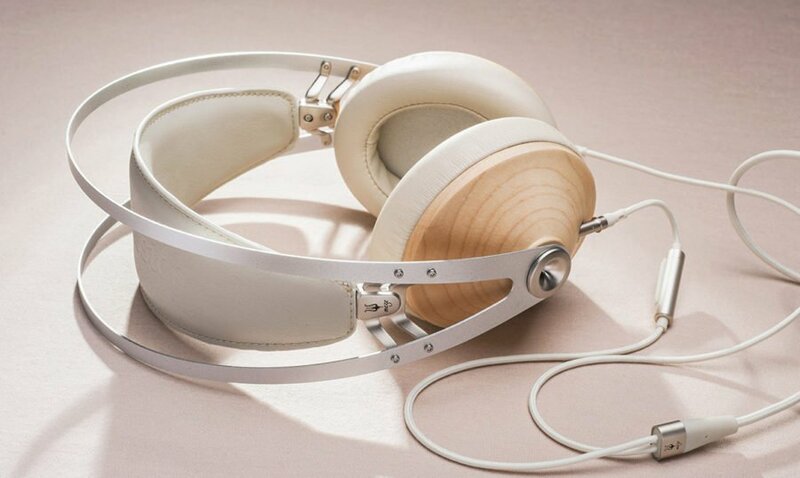 Janine Elliot takes a listen to their £256 Meze Classic 99 headphones. The last few years have seen plethora of new cans, some of which I have found extremely disappointing and extremely expensive. Trying to dress up the market with over complicated and highly inefficient headphones requiring step-up amplification strapped onto your portable HiDef player goes against everything I wanted after buying my Sennheiser HD650’s, the first decent headphones that couldn’t be played loud enough on your portable device. Yes I know planar driver designs are not as efficient as conventional loudspeaker drivers, and perhaps portable devices should have better amplification stages, and perhaps many people do actually like to sit listening on headphones next to mains powered headphone amplification. 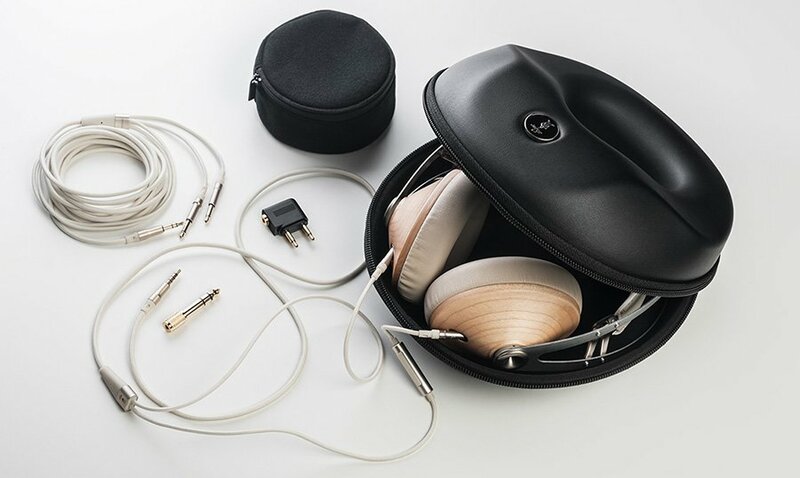 What Meze have done, after a crowd funded campaign, is produce something I have been waiting ages for; sensitive, good looking and cheap headphones to beat everything else out there. 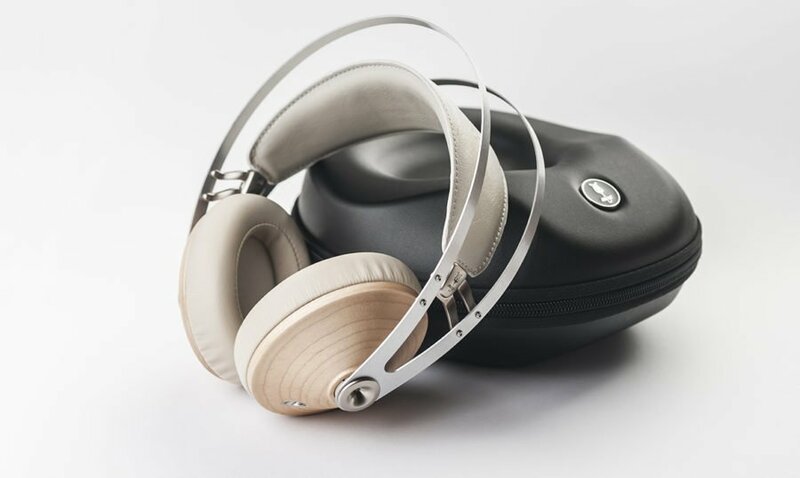 The 99 Classic headphones are available as walnut gold, walnut silver, or in the case of the model for review Maple Silver, and if you don’t want a wood finish there is the matt black Neo version. At around £256 a pair, these are pretty amazing prices. There is no need for a massive driver, as the 32 ohm 40mm Neodymium/Mylar transducer gets low enough, and loud! Sensitivity at 103dB/1kHz/1mW is enviable, and the whole weighs in at 260g minus the cable, meaning long listening is not a pain. Indeed the box and gorgeous hard EVA carrying pouch case weigh more than the 99’s themselves! With other headphones, such as B&W P5 and Sony MDR-1A, and Audio Technica’s at this price point, there is tough competition out there, but these really are a recommended audition, and with the added good looks plus all the accessories, set them above much of the competition. The name 99 might have nothing to do with the Kama Sutra or my favourite ice-cream, but these headphones were just as satisfying. Their previous models 55, 66, 73, 88, etc, referred to the diameter of the wooden cabinets. The 99 was the next obvious number and the “crowdfunded” project reached its target in less than 3 days. Not surprising with its looks and cheap price. Indeed, whilst reviewing them, several words came to mind like ‘aMeze’ment and ‘Meze’rly priced. I was, as you might realise, quite impressed, and looking for suitable words. Not only did it look better than the price would suggest, but the carrying pouch and choice of plug-in standard 3.5mm and remote controlled 3.5mm leads made it all the more surprising for the money. There are also airline jack and 1/4inch adapter included, all of which fit in a cute bag kept inside the EVA carrying pouch. 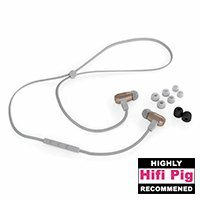 As well as their Meze 11 Classic and Deco earphones at $79 and $49 respectively are now working on the launch of two new earphones, the Meze 12 Classics and Meze 11 Neo. The 12 Classics are built with walnut wood and aluminum while the 11 Neo will have a full aluminum body available in Gun Metal and Iridium. Look out for these as well. The headphones are designed by Antonio Meze in Romania, a prolific gentleman whose portfolio not only includes headphones – including the gorgeous looking 77 Deco and a few wood-finished IEMs – but also designs for egg beaters, a mouthwash, a skate cycle, ski-pole, water bottles, entry-level mobile phone and tablet designs, and even a digital poker table. Sometimes, though, I did feel his concentration on the design allowed for a few areas important to me to not be so well thought out. Where the manganese sprung steel outer headband makes for good but comfortable pressure, the metal could “ring” if tapped. Perhaps these vocal attributes could be reduced with damping with foam or heat-shrink plastic covering, though would I fear take away some of the good looks. The white cloth-covered cable might perhaps get dirty in the wrong (messy) hands, and if rubbing on my clothes also send the noise through to my ears. 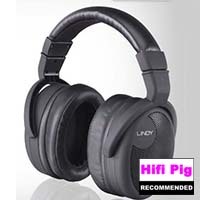 However, all these are things seen on many a good headphone, and these ones are particularly comfortable to wear, look expensive and the PU leather full ear-cups are very classy. Topped off with a velvety lush sound, I kept referring to them as Maple Syrup rather than Maple Silver. Long listening sessions were no stress, unlike many headphones that other reviewers seem to gloat over. The wood itself takes a long process of sanding and finishing, looking like they could come out of a top end Scandinavian furniture store with pride. The self-adjusting headband is covered in that PU leather to match the ear pads. All parts, including the wood, cast zinc and manganese spring steel are connected using nuts and bolts rather than cheap gluing. Internal components are made from ABS and silicone. Indeed all parts and assembly was meticulously thought out before production. Music was excellent, too, though the bass emphasis and mix of smooth treble and slight mid warmth could make my Pink Floyd ‘The Division Bell’ sound a little confused and less in control than a few quicker, brighter offerings at this price point, though this was more than made up with the bass control. “Lost for Words” with its deep 33Hz ‘C’ drone at the start was poignant. Whereas most of the bass usually disappears when the layered acoustic guitars come in at 45 seconds, these just kept going on until the sound engineer had faded it down. This was fun. Classical music was just sublime. Indeed the waveform is artificially tweaked with a reduction at around 4kHz to create a more balanced and musical sound. I always wonder why crossovers in speakers tend to happen at the critical 3kHz point, which can make the difference between a good and bad speaker and personally wondered whether an attenuation at 3kHz rather than 4kHz might have worked better. Or better still, have headphones with a perfectly flat response. Funnily, I actually liked that tailored sound. Playing with the shorter 1.2m Kevlar OFC remote control cable was OK for use with my X5, iPod or Android phone. The remote was good for playing, pausing, forward and reverse track selection and answering the phone, but it missed out on a volume control, which for me is the most important control of all. For me to play on my Brocksieper and Slee headphone amplifiers I needed to swap this cable for a 3m 3.5mm lead. The headphones have individual 3.5mm sockets to connect the cables, and as the ear-cups are symmetrical it doesn’t matter which plug goes in which cup, as long as you can remember the slight ridge on one of the plugs is for the left ear, as the words L and R are not easily visible in low light. Playing via a Brocksieper valve headphone amp gave for a more solid, musical rendition for all I played. 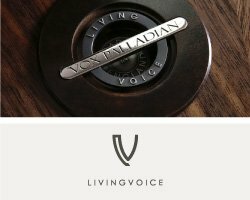 Connecting to the Lehmann Audio headphone amp/DAC gave resulted in a more defined soundstage and a clarity that opened up my experience. The high density memory-foam ear-pads form an excellent sound isolation, though with my four eyes I could reduce some of that with the temples on my glasses preventing a full “seal”. Indeed, that bass augmentation could be considerably reduced though made the frequency response waveform change considerably for the worse. No, these headphones’ selling point is that bass ‘oomph’, but where other ‘designer’ headphones from some musicians have failed to do this effectively, the Meze excels in this area. With frequency response of 15-25,000Hz, and nominal input of only 30mW (50mW maximum! ), this will work well with any HiDef player or DAC covering all the important frequencies. Whilst clarity and space of instruments isn’t as profound as many higher priced headphones out there, the musicality from these 99’s is tops. Hendrix’s ‘Purple Haze’ was colourful; lots of power, lots of music, just a little compact in detail, and a bit hazy. The high pitched bell sounds moving around the space between my ears at the end of the track wasn’t as clear as from my choice cans. I normally imagine myself lying in the middle of a country field or at the seaside when listening to Kate Bush “Prelude” and “Prologue” from ‘Aerial: A Sky of Honey’, and with the 99’s I felt that empty space wasn’t quite so large, more like I was in the local park, but the more forward sound allowed me to home in to much more of the music than some headphones can give, and I really didn’t want to put them back in the box. The ‘Queen Symphony’ (Tolga Kashif) first movement “Adagio Mysterioso” had impeccable musical warmth that I felt I wanted to curl up in a duvet and imagine I was in some mystical land away from life’s woes, only for the thrust from the brass section between the string and vocal phrases to interrupt that musical theatre. It was only at 6’40” when the piano makes his entry stage-left that I did feel that the detail just wasn’t quite good enough for me. I really enjoyed playing with these headphones. The sound was rich and fun, all made even better value by the superb carrying pouch and accessories, plus the fact that it has been created by an award winning innovator and designer. Meze might just be a team of 12 people, but this is a company with big ideas, covering the world of design and music, a pairing that too often gets overlooked. My only worries were that the detail of sound was lost to a certain extent by that bass boost, though it was by no means OTT like a number of designer cans favoured by some who should know better. Musicality was secure and comfort was good. The sound isn’t as clear as my headphones of choice, but those are much more expensive. These cans were like my favourite Belgian chocolate covered ice-cream bars; velvety smooth and you always want one but you know you have to leave them for special occasions. If you have a limited budget, these Meze 99’s will suggest that you haven’t. Build Quality: Very good looking and solidly constructed using real wood and nuts and bolts, not plastic and glue. 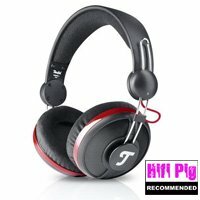 Sound Quality: Excellent musicality with an engaging bass. Value For Money: At around £250 these are taking on the competition with force. Since you won’t need a step-up amplifier, it might also save you lots more.